Amanda and Danny are expecting their first baby! 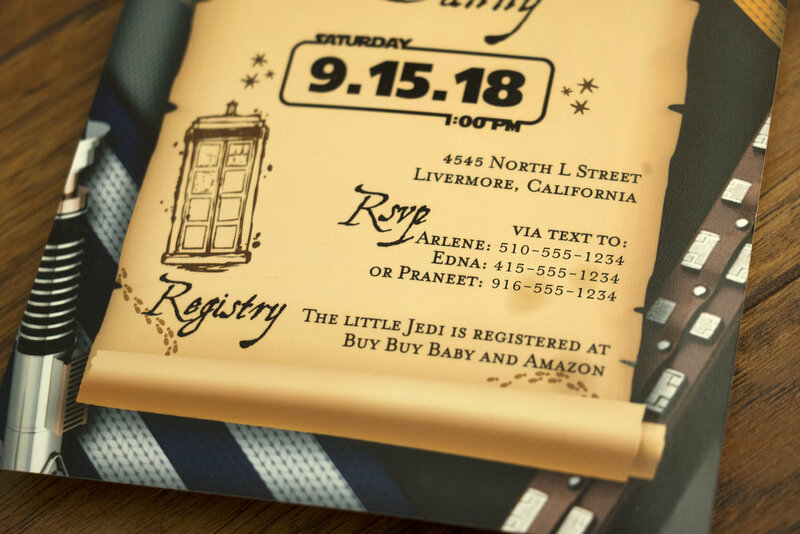 To celebrate they had a co-ed baby shower that included elements from Star Wars, Harry Potter and Dr. Who. 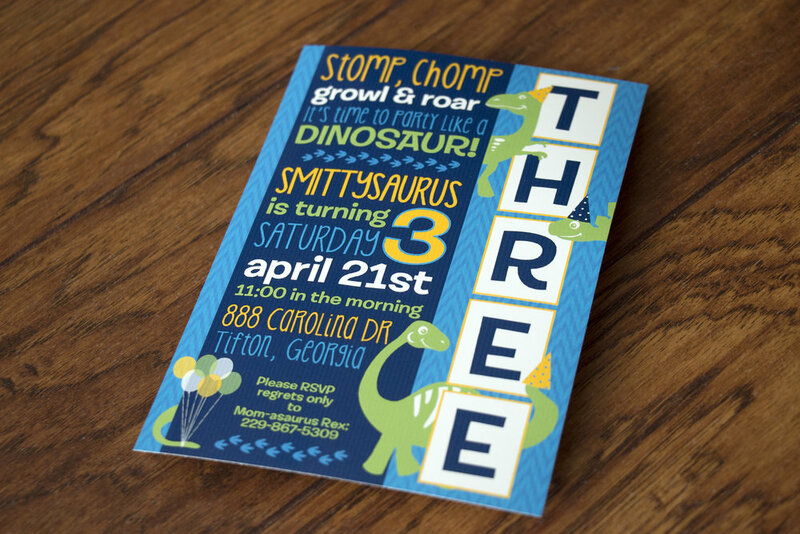 I was thrilled to create some printed elements for the party. 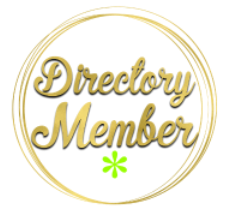 *Address and phone numbers have been changed to protect privacy. Can you spot all of the references from the three different fandoms? Elder Wand, owl & baby drawing, Marauder’s Map footprints, and chapter stars from Harry Potter. Doctor Who quote and Tardis, fonts, light sabre, and Chewbaca’s bandolier from Star Wars. The background also features Gryffindor and Ravenclaw house scarves and a scarf from Dr. Who. 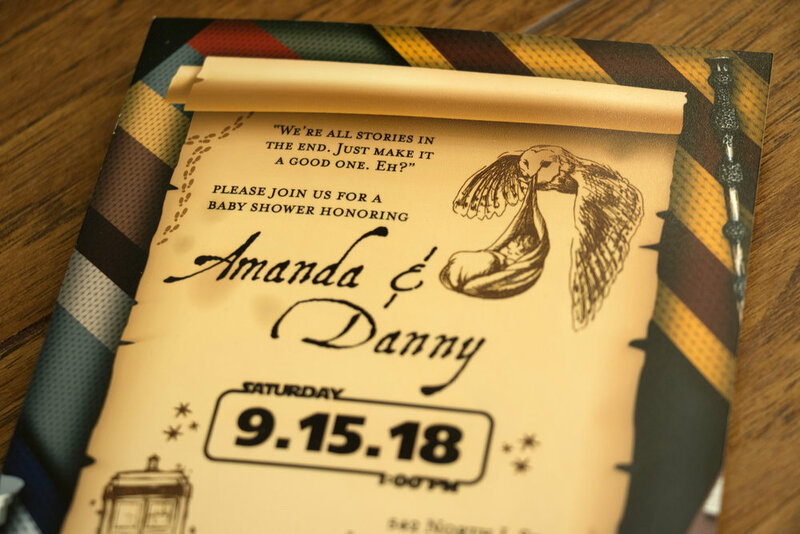 Amanda had the invitations printed with Snapfish. I created a pennant banner with a fun, space background. Some of the pennants had elements from the themes. This one had the Ford Anglia from Harry Potter. One also had Dr. Who’s Tardis, and others had a Millennium Falcon and an Tie fighter from Star Wars. I created these favor tags too. For the front door I created this fun welcome sign. It includes lots of elements from the invitation. Congrats to you both and I can’t wait to meet your little boy! 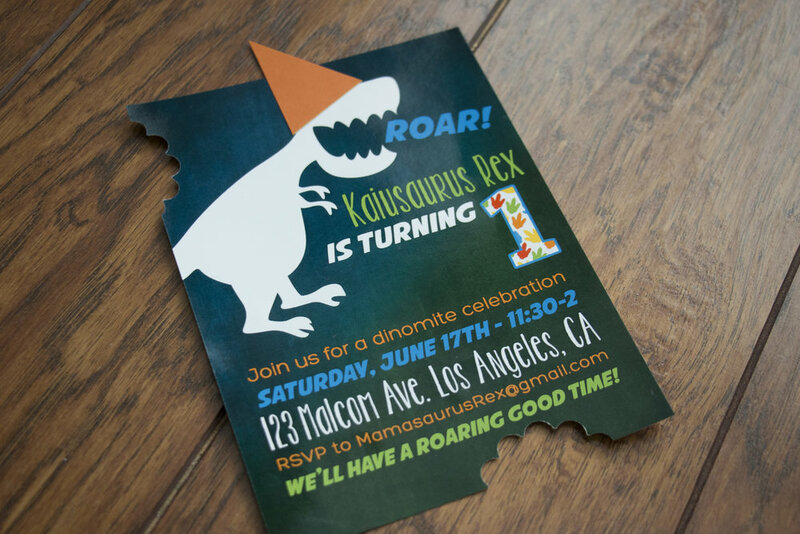 For his first birthday, Kaius' mommy, Breana fell in love with the dinosaur invitation I created for Charlee (I'll get the post up someday! ), so we changed it to go with the color scheme she had in mind and I love how it turned out. 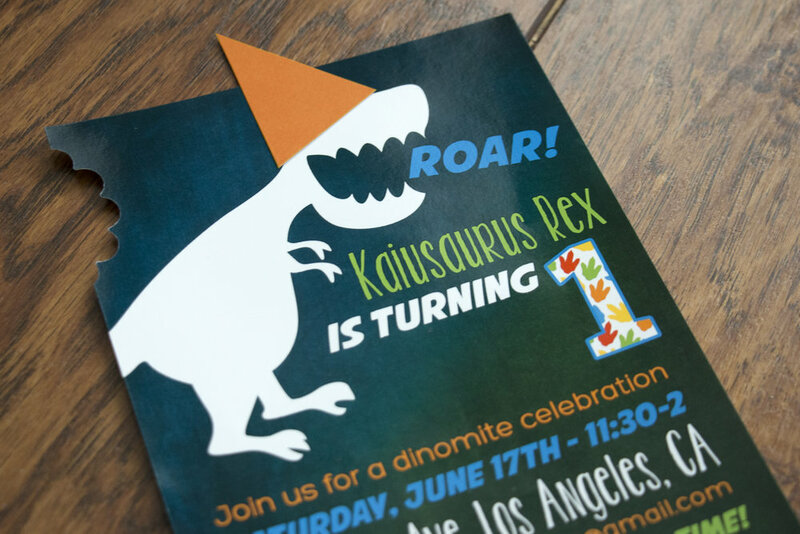 Breana cut out paper hats in orange, blue, and lime green for the dinosaur on the invitations, and then cut out "bite marks" with a scalloped circle paper punch. I LOVE this little detail. In addition to the birthday invitations, we also created a pennant banner that had the same faux chalkboard background. It said "Happy 1st Birthday Kaiusaurus Rex." I also made a few signs for the food table. I think the Sweetivore sign is my favorite. Many thanks to Breana for sharing a couple of photos from the party with me. All too often, I create such FUN items for a party or wedding and I never get to see how they looked. I'm so grateful for clients who remember to share them with me. Happy birthday Kaius! 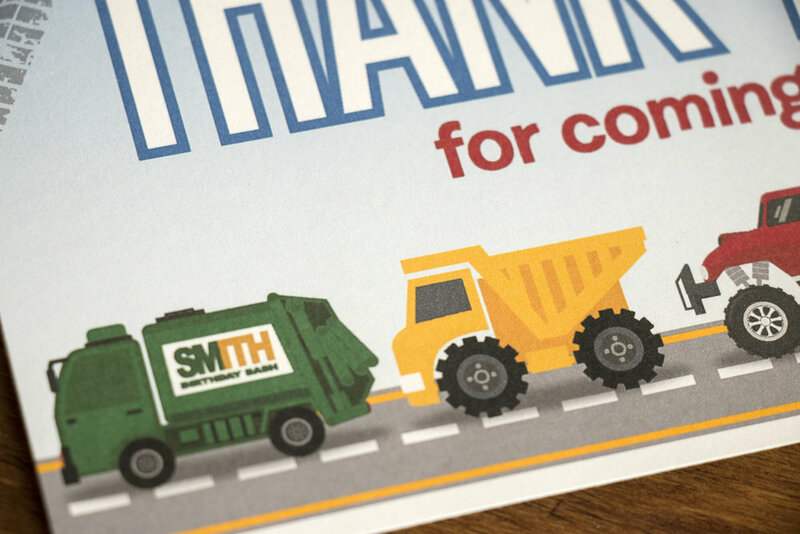 Smith's mommy, Jessica wanted to throw a truck-themed party for his second birthday and I was more than happy to do what I could to show off a few of his favorite trucks. 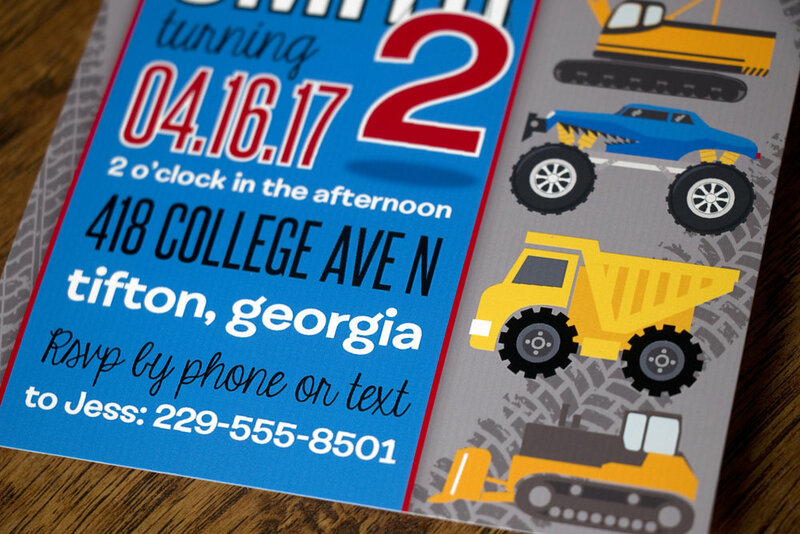 At the time, his favorites were garbage trucks, construction trucks, and monster trucks, so I did my best to create an invitation that included all of them. I love how it turned out! The text "I like big trucks and I cannot lie" was printed onto some plastic cups that Jessica saw online and it's what inspired her to do the truck theme for his birthday. So of course we had to use it on the invitations. 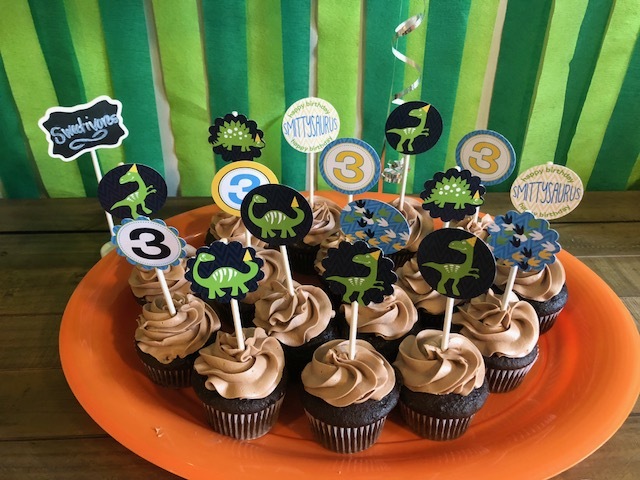 For the party, we also created a custom cupcake toppers. I absolutely LOVE the dump trucks holding snacks! We also pennant banner for the wall. Lastly, we made a simple thank you card that Jessica printed as folded cards so she could add a handwritten message inside. Stella's mommy, Rachel wanted to do a fun mermaid theme for her 2nd birthday and I was thrilled to be able to create some fun items for the party. She went with a color scheme that included magenta, orange, and aqua. I created a super simple favor tag. Cupcake toppers were simple and Rachel used a scalloped circle punch with them. A simple pennant banner finished things off. Happy birthday Stella! I hope your party was a blast! My friend Liam is still a big fan of trucks. For his 2nd birthday we did garbage trucks, and for this 3rd birthday, it was ALL about construction. 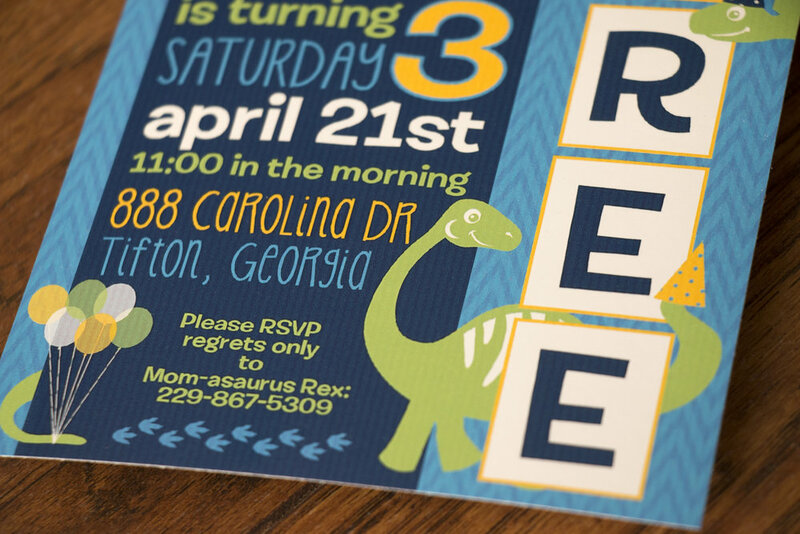 His mommy, Joanna opted to send an Evite rather than a printed invitation, but we still had some fun with printed items for his party. First I made a welcome sign that Joanna had printed pretty big. Then I made a simple pennant banner that had upside down construction cones in between the words. I created a bunch of different cupcake toppers too. Joanna always orders cupcakes from Nothing Bundt Cakes and they're SO tasty! For favors Joanna filled plastic construction hats with goodies from Oriental Trading and they were finished with a coloring book that I created for the party. I love making these!! To finish, I created this t-shirt graphic and Joanna had it printed onto a white and navy blue raglan tee like in this picture. Zazzle did a pretty poor job of printing it, so I don't have a photo of Liam wearing it. Which was disappointing since they've done pretty well in the past. Bummer! Thank you so much for inviting us to your party Liam, we really had a great time! Happy birthday! Since Liam was WAY into garbage trucks when he turned two (so many toddlers are! ), his mommy Joanna, chose a garbage truck theme for his birthday party. It was such a fun theme to work with! Joanna picked up miniature garbage can pencil holders from Amazon to decorate the buffet table and goodie bags were made with mini black trash bags! Perfect! We created a couple of welcome signs that were posted in a few spots in the house. 2" circle cupcake toppers for the cupcakes that Joanna picked up from Nothing Bundt Cakes. Sooooo delicious! A pennant banner hung over the windows. My oldest thoroughly enjoyed the coloring book! Lastly, I created a t-shirt graphic that Joanna ordered through Zazzle. They were the only shop that would let us order one custom t-shirt in navy blue. I usually recommend CafePress, but they didn't have navy blue. Taking a non-blurry photo of Liam actually wearing the shirt proved to be very hard, so this is my mockup of what the t-shirt looks like. Someday I'll try and get a better photo. Ha! 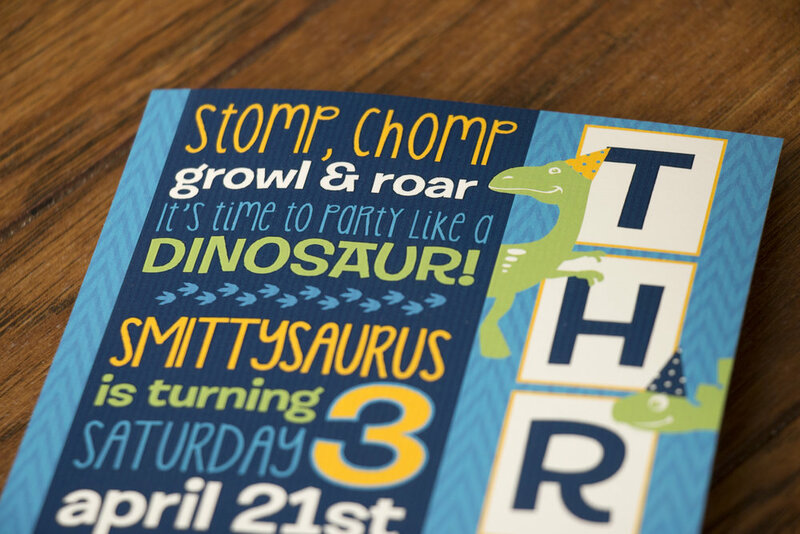 This birthday party was so much fun to create and even more of a treat to get to actually go to the party! Happy happy birthday Liam!